The young royal gets along quite well with her "Granny." With all the attention that's lavished on Princes William and Harry, it can be easy to forget that they are just two of Queen's eight grandchildren. While these eight people may occupy very different places in the royal line of succession, they all have same right to call Queen Elizabeth granny. 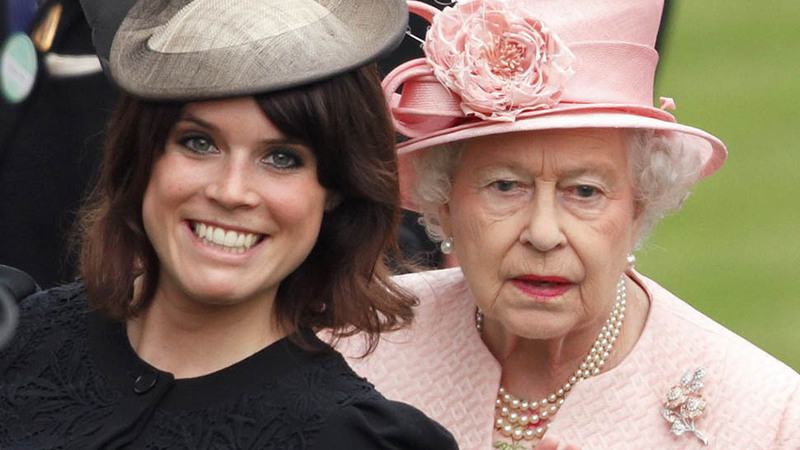 And Princess Eugenie, the sixth of her generation, has a particularly close relationship with her grandmother. While the Queen’s affinity for Eugenie’s mother Sarah Ferguson has wavered over the years, the monarch has always remained close with her granddaughter. Eugenie has been busy over the last few years, working at the art gallery Hauser & Wirth in London and forging a life with her husband-to-be Jack Brooksbank, but she spends a great deal of time with her grandparents. Eugenie's independent path can be at least partly explained by the fact that she and her sister Beatrice are not a working member of the Royal Family, an allegedly contentious matter within the Windsor walls. 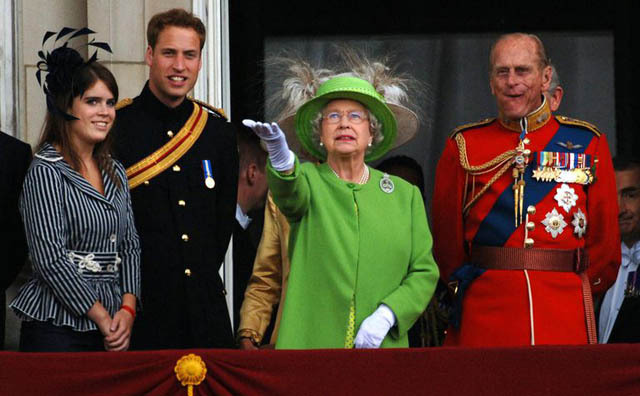 Queen Elizabeth on the Buckingham Palace balcony with Princess Eugenie, Prince William, and Prince Philip, for the Trooping the Colour ceremony in 2007. A few years ago, it was reported that Beatrice and Eugenie’s father, Prince Andrew, believed his daughters should have a higher royal profile and more royal duties, while Andrew’s big brother—the heir to the throne—Prince Charles thought that the modern monarchy should be streamlined to focus on fewer people: himself and Camilla, William and Kate, and Harry and his future wife. It was rumored that the Queen came out in support of Beatrice and Eugenie, though it should be noted that none of this was ever confirmed by the Palace. The princesses still receive no public funding, they both regularly attend functions with their grandmother. 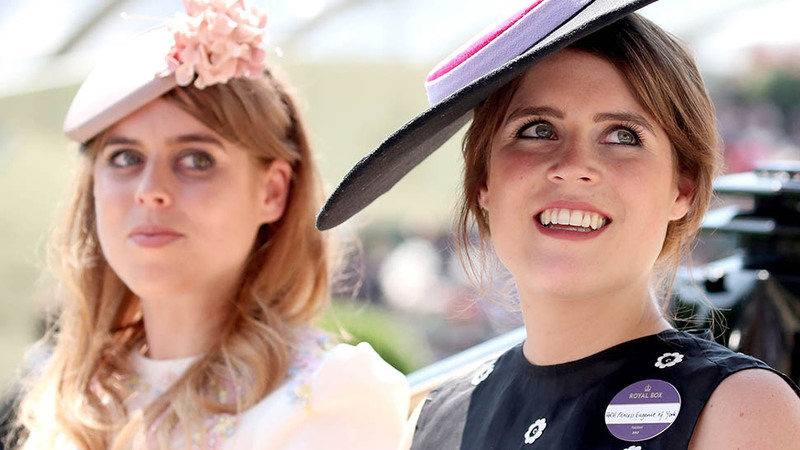 For instance, Eugenie often accompanies the Queen to the Easter Day church service in Windsor, and to the Royal Windsor Horse Show and Royal Ascot. In recent years, Eugenie has been added to the list of family members who attend the Queen's annual summer garden parties at Buckingham Palace, and this year she participated in the Commonwealth Youth Forum alongside the Duke and Duchess of Sussex. These engagements would not be happening were it not for the Queen’s fondness for her sixth-born grandchild. Eugenie at the 2018 Commonwealth Youth Forum. The closeness Eugenie and the Queen share is also evident every time the princess speaks of her grandmother in public. 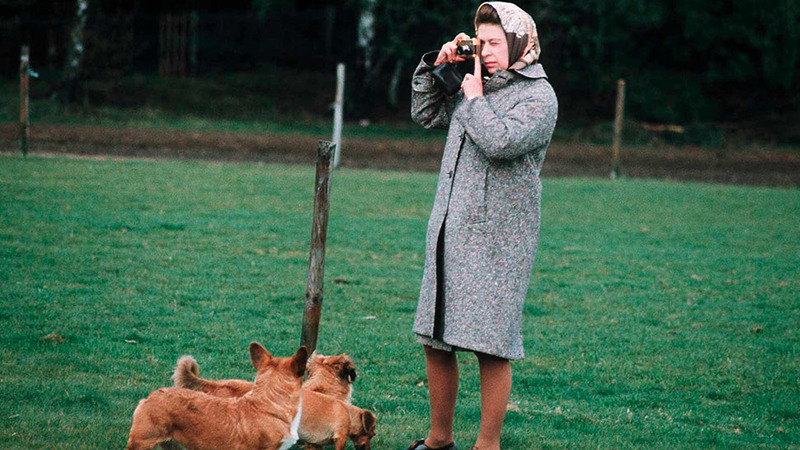 While William and Harry tend to err on the side of formality and refer to the monarch publicly as "the Queen," Eugenie has on more than one occasion referred to her simply as "Granny." The princess is also a regular visitor to the Queen’s Scottish estate Balmoral, where the monarch vacations every year from July to October. "It's the most beautiful place on Earth," Eugenie said in the ITV documentary Our Queen at Ninety. “I think Granny is the most happy there, I think she really, really loves the Highlands... Walks, picnics, dogs—a lot of dogs, there's always dogs!—and people coming in and out all the time. Family-wise we're all there, so it's a lovely base for Granny and Grandpa to be—for us to come and see them up there, where you just have room to breathe and run." 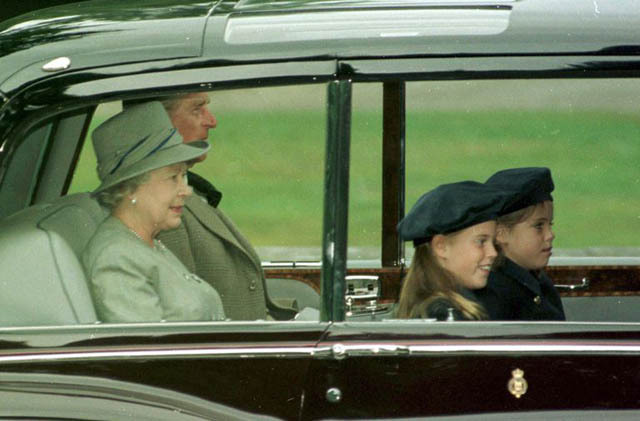 The Queen and Prince Philip with their grandchildren Princess Beatrice and Princess Eugenie leaving Balmoral Castle in 1998, when Eugenie was 8 years old. The princess and the Queen often gravitate toward each other on family occasions such as Christmas, where they have been spotted laughing and joking as Eugenie helped the monarch with the flowers she was given by well-wishers in the crowd. 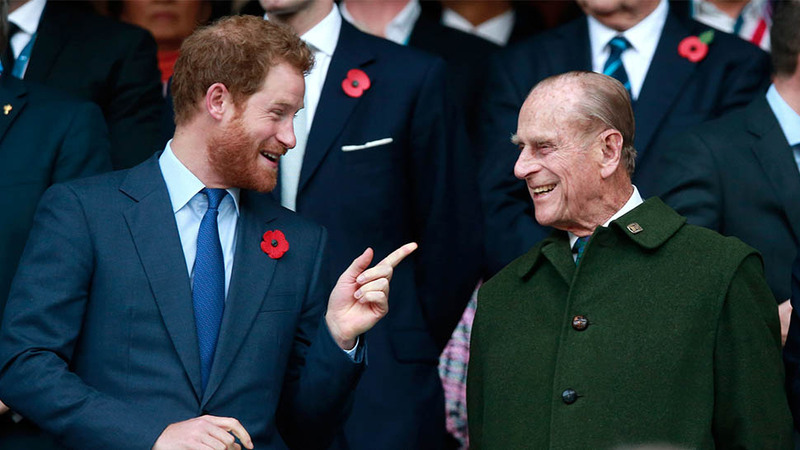 Prince Harry recently commented on his formidable grandmother in the new documentary Queen of the World, “If you suddenly bump into her in the corridor, don’t panic. I know you will. We all do!” he said. But, Eugenie often exhibits her playful side when she’s around her grandmother, mugging for the cameras and laughing. 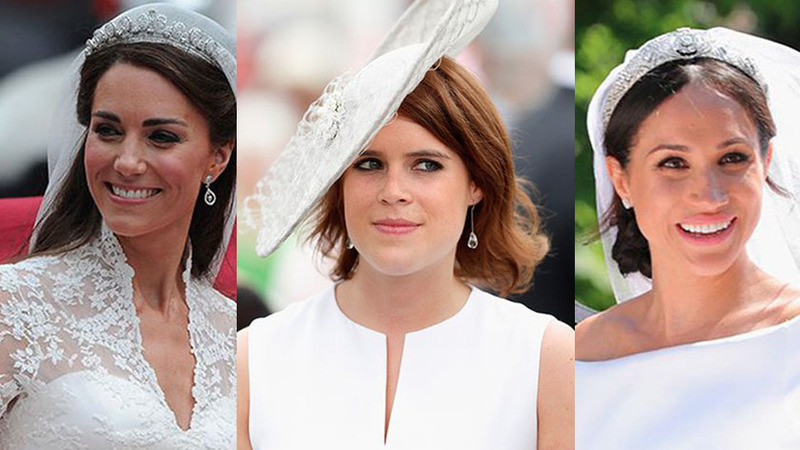 What are you most looking forward to about Eugenie's wedding? This is in keeping with Eugenie's more playful demeanor. While Kate and Meghan style themselves with careful sophistication for Royal Family events, Eugenie sometimes adds whimsical elements to her outfits, rocking a Rudolph the Reindeer manicure to the Queen’s Christmas lunch at Buckingham Palace, and Union Flag nails at Diamond Jubilee events, further proving how comfortable she is around the Queen. On October 12, the Queen plans to host a wedding reception for Eugenie at Windsor Castle, just as she did for Prince Harry earlier this year. No doubt, it will be an exciting day for both women—and a milestone in their relationship.